Over 40 years ago, Lovan Thomas dropped a few sprigs of flowers in the ground near the fence at the front of the Natchitoches Times building. Those sprigs have grown to encompass the whole fence and welcome staff, customers and visitors with their bright purple, pink and blue flowers every morning. 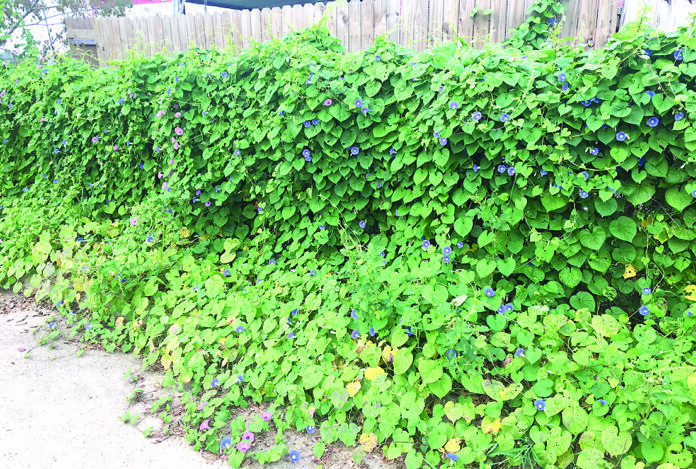 The Morning Glories are gone by lunchtime each day, but they sure are a nice welcome to brighten everyone’s day.